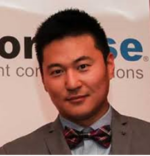 John Sung Kim is Chief Executive Officer at Doctorbase in San Francisco. John is the founder and founding CEO of Five9 (NASDAQ: FIVN) widely recognized as the leading company in the contact center industry. He has acted as a consultant to numerous startups including LGC Wireless (acquired by ADC), Qualys (NASDAQ: QLYS), RingCentral (NYSE: RNG), Odesk (merger w/ Elance), 6connect (funded by Hummer Winblad) and M5 Networks (acquired by ShoreTel).